Meal sizes have increased and consequently our bodies are getting are consuming extra kilojoules that we usually don’t need. 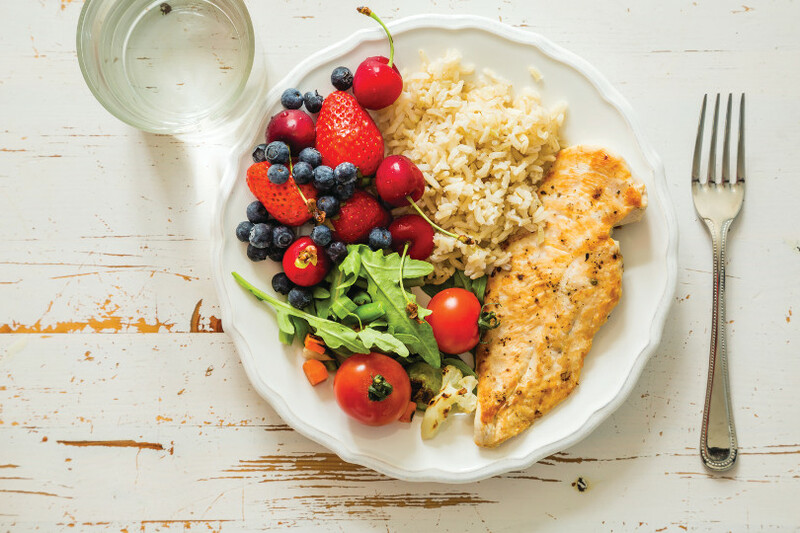 Take the quiz to see how switched on you are about knowing the right portion to eat? Let’s look at portions and how much we eat. Have you noticed that portion sizes of food have increased over the last few decades? The size of a slice of white bread has increased by 11 per cent, blocks of chocolate are now readily available as 350g giant blocks while 10 years ago the standard block was 250g. Even the size of the standard dinner plate has increased! When eating out, there is often the option to upsize your takeaway coffee, smoothie or soft drink. Meal deals come with a soft drink and there are those ginormous buckets of popcorn at the movies – I don’t remember those when I was a kid! Unfortunately what our bodies are getting is extra kilojoules that we usually don’t need. Research out of America shows that it only takes an extra 82 kilojoules (about one-third of an apple) each day for us to gain one kilogram of fat each year. Research out of America shows that it only takes an extra 82 kilojoules (about one-third of an apple) each day for us to gain one kilogram of fat each year. It all adds up! Nuts are a great source of healthy fat – but they are easy to overeat. Limit the amount of nuts to a small handful and bulk it up with some freshly popped corn or puffed rice. Store bought or even packaged cakes and biscuits often contain as much sugar as you need for the entire day. Choose a healthier option such as a punnet of berries, a banana or even a plain wholegrain bread roll. Soft drinks just don’t provide any value to our diet at all. They are high in sugar and kilojoules, and they are easy to drink too much of. Diet soft drinks are an option, but your health is going to thank you if you reach for a large water – still or sparkling. While on the subject of drinks, energy drinks, cordial, juice and sports drinks all fall into pretty much the same category as soft drink. They don’t offer any nutrition and can easily just add unnecessary extra sugar and kilojoules. Pasta and rice are very easy to over serve. One cup – or about the size of a tennis ball – is one serve. Instead load your plate up with green leafy vegetables such as rocket, broccoli or spinach. If you are cooking up a BBQ then this analogy of a meat serve is a good one to keep in mind – a deck of cards is all we need as a serve each day. Keep your meat trim and add flavour with marinades. Avocado is a brilliant summer food – but it is easy to overeat. Certainly a fantastic choice and I would rather you chose avocado over soft drink, but always a good reminder that eating that one quarter of an avocado is a portion. And I quite like adding avocado to a greek salad – it’s a great flavour addition. – Share a meal – halve your meal when eating out and your portion will be much closer to what it should be. And you will save money – another bonus! – Use a smaller plate – we eat with our eyes first. A smaller plate will look full, but you will be eating less. – Skip second helpings – slow down your eating and be more mindful of when you are feeling full. – Don’t finish everything on your plate – most of us have been brought up to eat everything served to us. Instead, eat slowly and stop when you are full. 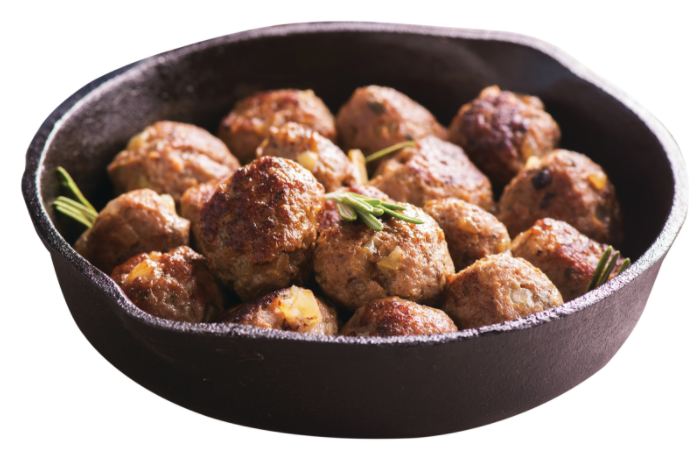 The meatballs are perfect in burgers or the next day as picnic food. Mix all ingredients in a bowl and make into balls. Cook on a BBQ or frypan over medium high heat until browned and cooked through. Combine tomato, cucumber, capsicum, olives and feta in a bowl. Sprinkle with oregano. Whisk together the oil and vinegar. Drizzle salad with dressing and toss salad to combine. Serve immediately or place in fridge until ready to eat. Quiz Question Answers: 1 b. 2a. 3d. 4a. 5a. 6c.